Anna, and the fantastic people from The Hachette Book Group, have made this Wednesday very special by giving me the opportunity of introducing this very talented author to everyone while she stops by while on her virtual tour. So, please, let’s make her Wednesday just as special, by giving Ms. Meg Mitchell Moore a very warm welcome. Meg Mitchell Moore worked for several years as a journalist. Her work has been published in Yankee, Continental, Women’s Health, Advertising Age and many other business and consumer magazines. She received a B.A. from Providence College and a master’s degree in English Literature from New York University. 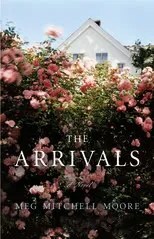 The Arrivals is her first novel. Her second novel will be published by Reagan Arthur Books in 2012. 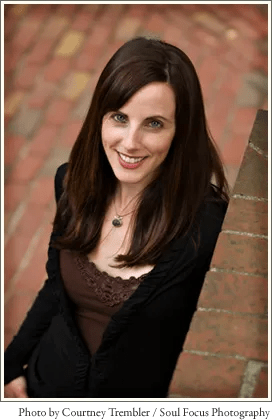 Meg lives in Newburyport, Massachusetts, with her husband, their three children and a beloved border collie. One thing I’ve learned as a debut novelist is that a few questions come up frequently. Among those questions: how much of my book, The Arrivals, is based on personal experience. I think this is a great question, and it’s one I always enjoy answering. In The Arrivals, three adult siblings return to their parents’ home in Burlington, Vt., over the course of a summer, bringing their grownup problems with them. My answer to the question of “Is this based on personal experience?” is: not really. Lillian, the eldest Owen sibling, arrives on her parents’ doorstep, a three-year-old and an infant in tow, to escape a marriage that’s in jeopardy. (Unless there’s something nobody is telling me, my marriage is in pretty good shape.) Stephen, the middle sibling, brings his pregnant wife for a short visit that is extended by weeks due to pregnancy complications. (My three pregnancies were relatively uneventful.) Rachel, the youngest sibling, is fleeing heartbreak and personal financial disaster in New York City. (I did live in New York, well, okay, Hoboken, New Jersey, in my twenties, and I sure wasn’t rich, but my situation was less extreme than Rachel’s.) I guess what I’m getting at here is that my life is considerably more boring than those of my characters. My life would make for a pretty dull novel. Still, I guess you could say that some of the circumstances within the situations—mini-situations, let’s call them—have roots in personal experience. Lillian’s daughter Olivia, who is three, is in some ways a composite of all the three-year-old girls I have known, and I have known plenty. I have three daughters, all of whom by now have passed through the Olivia stage (though the youngest was only one when I started writing the book three years ago). I have dragged my children to my parents’ house on more than one occasion, and I’m sure I have created there the sort of chaos Lillian creates in the Owen household. It wasn’t hard for me to imagine a living room strewn with little baby socks and chirping toddler toys, or a washing machine suffering from overuse, or a kitchen never completely clear of the detritus of somebody’s last meal. And my parents do currently live in Vermont, though not in Burlington, where the book is set. So, I guess my answer to the question above is, as I said: not really. But sort of. My next book, due out next year, features characters who aren’t anything like me: one is a thirteen-year-old girl, one is a fifty-seven-year-old woman, and one is an Irish immigrant working in domestic service in the 1920s. Their situations are foreign to me, but as I wrote them I sat down and did what any fiction writer tries to do—and, on a good day, achieves—I tried to mine the universal emotions from somebody else’s specific experiences. I HAVE TWO (2) BOOKS TO GIVE AWAY.